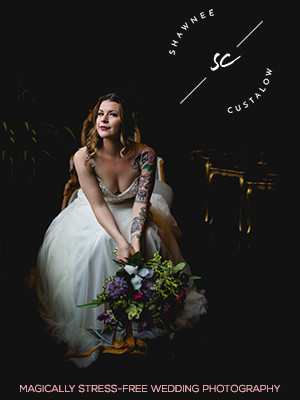 Real Couples // A Mod Minimalist Wedding in LA: Lucy + David — Catalyst Wedding Co.
Lucy and David married on Sunday, July 3, 2016, on an uncharacteristically cool summer night. Lucy and David met and fell in love in Washington, DC, but decided to marry in Los Angeles, where Lucy's family resides. Along with their heartfelt brother-officiated ceremony, they chose a simple yet impactful hanging backdrop from Of the Flowers. Lucy's style, as evidenced by her custom gown by Mika Inatome, is minimalist chic. The rest of the wedding followed suit. A pop of color in the florals and in the tablescape was just the right touch. Lucy and David wanted an epically fun dance party, so they made the smart choice and hired Red Shoe DJs. Lucy and David swore that their guests would dance until 1 am...and they did! They treated their guests to a delicious gluten-free family style dinner from The Kitchen for Exploring Foods and two cakes: a gorgeous and decadent Sweet Lady Jane cake and a smaller gluten-free one for Lucy (and her gluten-free guests). Lucy: David and I met in DC. We sometimes like to tell elaborate how-we-met tales featuring our own gallant heroism — like the time I saved David from an angry albino tiger, or the time he saved me from a furiously burning building — but the slightly less thrilling version is that we met online. The first time we met in person, it was awkward. I did a lot of nervous talking and hand gesturing; David did a lot of nervous smiling and silverware dropping. Fortunately, our parents raised us right, and a “hope you made it home all right” text turned into a decidedly not awkward conversation about Joni Mitchell, Alvin Ailey, and the transformative power of art. It was a beginning. I fell in love with David during a 600-mile road trip when he started singing "It's Just My Imagination,” complete with trademarked dance moves. David says he fell in love with me during a 2-hour lost-wallet-scavenger-hunt in which I demonstrated a keen sense of direction, wit, and adventure all at once. I’m not so sure about all that, but we did find his wallet. And four years later, we decided to get married in LA. Neither of us grew up in LA, but it’s a place where my family has roots and we both have loved ones. That’s what we wanted most for our wedding: to be with as many loved ones as we could possibly manage. We wanted a ceremony that felt authentically us, recognized the many unknowns of the enormous leap we were about to take, and celebrated the love, commitment, and vulnerability that had gotten us this far. We were lucky enough to get all those things on our wedding day, but nothing could have prepared us for the feeling — the sheer and overwhelming joy — of being surrounded by so much love. It was so much more than I know how to put into words. And everything else, the other nuts, bolts, and dressings we’d spent a year Pinterest-ing and planning and DIY-ing, were the delightful cherries on top. It was all whimsical and chic and also somehow comfy and familiar. The food, the flowers, the music, the vintage rose-colored glasses — yes, just yes — were simply gorgeous. And the photobooth was so much fun we went home and started our very own in DC. But boy oh boy, nothing beats that glow of having so much love in one place at one time. That was the magic. Richard (Clarkie) of Clarkie Photography is an LA-based destination wedding photographer who photographs weddings all over the world. Committed to delivering his personal best with every click of his camera, Richard uses natural light and composition to make each of his photos creative and new. Capturing more than individual moments, he will always try to weave an honest and creative narrative through his images. I’m Renee, owner and lead planner of Moxie Bright Events. I am a born & raised New Yorker, certified wedding & event planner, wife of a handsome husband, and mama to two hilarious dogs and one elegant cat. Before I became an event planner, I was a theatre producer, director and actor. My background in professional theatre has proven to be an asset to my clients. I bring leadership, organization, creativity, an expert attention to detail, a sense of humor, and a calm demeanor to all my events! Your Big Day won’t have a dress rehearsal, but with careful planning, it won’t need one!